Our LEGO Community Rep. Steve Witt has asked the LEGO Ambassadors to collect suggestions for new LEGO themes. This is your chance to write down some theme ideas and have someone from LEGO read them. So get to it! To get involved simply 1) think of some theme ideas (no more than three per person), 2) check that your themes don’t already appear and 3) write down any new themes you might have and support any that already appear. I’ll compile some results by the 24th October to submit to Steve. Additional information 14 Oct 2010: Due to the overwhelming response and difficulty collating the information I’d like people to a) avoid repeating ideas, b) keep their theme ideas as short as possible. As of now I will simply ignore all suggestions by anyone who fails to follow these two simple rules. EDIT: Comments are now locked. I’d like to see a Disney litigation theme. It would feature Disney’s crack team of copyright lawyers busy making sure that no adult or child is in breach of Disney’s copyrights, real or imagined. Many of us who grew up loving Lego also grew up loving Nintendo. I don’t know if Lego has attempted to obtain a Nintendo license before, but I think it would be WONDERFUL if we could get some official Mario, Link, Metroid, etc. Lego sets. If Lego can get Disney/Pixar sets, I’m sure they could get some Mario & Friends sets. I think video games are especially well suited to Lego adaptation. How about a High School theme. Could be city related; it’s a familiar place to pretty much all of us that’d be really cool to see in Lego. Teachers, students, halls, classrooms, gyms, and cafeterias complete with gross food. There isn’t much (if any) school-related Lego. So school, elementary and high, would be a cool new theme for Lego. Think of all the parts, figures, and MOCs! I think a theme revolving around a team of four special agents, one of whom is a ‘babe’, using oversized machines to overcome physically unattractive and prosthetically equipped villians who also use oversized machines, would be good. Lego metroid/Pokemon/Mario Kart/Donkey kong/Legend of zelda/STAR FOX !!! Why , A nintendo/lego co-op would go just like the lego/lucasarts deal , also ………… I Want a lego mew !!! Glad to have our opinions listened too =-) . A very well designed transforming mecha theme, with air and space cargo and the defense therof, as its central theme, and with a Macross-esque design motif…i.e. realistic looking vehicles with realistic functionality, that turn into articulate robots without removing parts to accomplish transformation. It’d be ambitious and challenging for the dsigners, but, given the popularity Transformers and Macross are enjoying currently, it’d likely become one of their best themes if done well. With the curent pallette and the sheer talent at LEGO, I think there’s been no better time for them to make a transforming bot theme. The return of BlackTron. Not some paltry posers or goits parading under the banner, but the real BlackTron back from the void to crush the space police and other space peoples that oppressed them and attempted to commit genocide upon them. Space pirates with sails and robo peg legs and such. An earnest attempt this time. I really want to see Castles and Towers in the Creator series. The Kingdoms and Castle sets are too focused on the gameplay and some Castle fans like me miss some good designed castles and towers based on the real ones. And I want the Fantasy Era sets back, 2010 Kingdoms did a step back in everything they did up to 2009. How about a NOIR Style Private Investigator theme….Starring Private Investigator L. Brick..Trying to track down the mystery of the _______???? 1. His office an his car . Noir style. 3. A museum or bank that he is investigating and so on as more themes are added…all based on Modular style Buildings..
You could have all sorts of rides: rollercoasters, ferris wheels, bumper cars… you could even license actual rides from real parks. Rollercoasters alone could be huge. Growing up I’d build a lot of theme parks because it would let me use all my other Lego themed sets together. I really like the historical themes (pirates, castle, prince of persia [sort of historic :D]). So I think it would be fun to see something like ancient greek or roman Legos. There’s awesome architecture, and they don’t’ have to make more Spartans, since they already went there. There is plenty of other stuff they could do. It would also be fun to have Colonial era Legos. Like pirates, but much more specific to a certain area. Maybe they could do different sets for different areas? IT would pair up with the pirate stuff really well and also the old Indian/Cavalry theme. I’d also love to see a new Ninja/Samurai theme. It’s been long enough dang it. Not some weird theme, but a sweet sweet architectural theme with castles and temples. Retro robots would be very cool! A haunted house theme similar to the Christmas toy shop and bakery would be fun, too. Also, I wish that they had more sets that were targeted towards girls. The Belville stuff is so unappealing. From what I have seen, it’s not nearly as well designed as the other types of sets, e.g., castles and pirates. 1-Thrill Ride Themed. Like the stuff this ( http://l-rides.tk/ ) Guy does. Fully functional fairground rides. 2-A set for every state with its theme, could be collectible too. Eg. Large buildings for New York, and The golden gate bridge for California. I also like the high school one. I don’t have a third idea, but I love the caveman/dinosaur/prehistoric theme! Im with LordExxos, The return of BlackTron. Or, Id love to see new Forestmen/Darkforest or Wolf Pack make a comeback. Setts i played with as a kid. I just don’t think Lego should go Nintendo, and Disney is just not cutting it. Zombies are to violent, that’s also why we have no WWII setts. 1. One or two series of mystery collectible girls only minifigs. Great for boys, girls and AFOLs alike. Also offer future series in both mystery bags and as a complete set of 16 (non-mystery). 2. StarTrek Lego theme sets. 3. Midiland Figs, in the same style or better as minifigs…for larger scale builds…They can also double as Adults, while minifigs can be children. Over-sized mythological mini-fig”gods” with lightning bolts vs standard-sized mini-fig mortals. Could be in either Roman or Greek mythology motif with such sets as Battle on Mount Olympus, Apollo’s Chariot, Attack of the Kraken, etc. Jules Verne sci-fi theme featuring themes from such retro sci-fi classics as Journey to the Center of the Earth, 20,000 Leagues Under the Sea, Mysterious Island, etc. I echo the call for some Nintendo themed sets. Lego Mario & Yoshi would be fun. A 1920’s town theme, with vintage automobiles and trains. I love that people keep suggesting their most favorite IP-related themes even though we all know TLC are reading this going “yeah, dream on, not happening”. Most of the other suggestions are complete pants except maybe Noir but also the recurring suggestion of GREEKS ROMANS ANCIENT EGYPT which I totally dig, and they could expand on for years and years (history is BIG!). Time to catch up to PlayMobil a bit. A machine kind of theme for Technic. Like a realistic engine, transmission, and other kinds of equipment. Not just a whole vehicle, only the certain parts. Something I’ld like to add, I think it’s great that sets like the “Grand Emporium” and “Fire Brigade” can be linked together to create sets that are larger then just what comes in the box. Hopefully this thought will expand out to the other themes. I’d love for Japan to come back. We got a lot of great elements and colors from those sets and they were models I kept assembled for a long time. Perhaps lego could use Manga-esque faces like the ones we got in Exoforce. I’d love to see Blacktron VS Space Police or M-Tron/Futron/whomever. They were such a cool looking theme and could be even better with the awesome space police aliens. Now that creative partner Disney is taking over Marvel maybe we could see some Xmen or Avengers sets or Lego product based on other popular Marvel titles. I’d like to see Kingdoms/Castle remain a supported and vibrant line. I’d like to see Pirates make a come-back and remain afloat. Really in general I’d like TLG to stand behind a theme besides City/Town. It’s very frustrating for us as builders to get excited about a new theme that doesn’t stay on the shelf for 6 months. Often times it takes us longer than that to understand the value of a theme and by then we’re running around trying to find sets as they disappear from shelves. I’d like to see the abandonned prohibition theme with gangsters and rum-runners and G-men finally see the light of day. It’s a great opportunity for some great modelling and the Americana theme would blend very well into some of the more antique Cafe Corner styled sets. I’d like to see TLG dirty it’s hands with a Video Game licence. Prince of Persion generated some great lego sets with new and exciting pieces, but Halo fell into enemy hands. I see a huge overlap between video gamers and Lego collectors/builders. I believe if you buy into a polular licenced line like Final Fantasy or Modern Warfare that the investment will more than pay for itself in fairly short order. I’d love an annual Halloween set like the Christmas sets. Lego already has a collection of Monsters from their Studio days. Lastly I know the theme has very little kid-appeal but I’d like to see a line of Lego office sets. I keep a lot of dumb distraction toys around my desk and I’ve often thought about building a little mini-fig cubicle set. I think officially licenced sets showing minifigs around the office would be really popular in corporate culture and it’s a concept that is understood around the world. I realize that I’m asking for a lot of stuff, but we do buy a lot of Lego around here. 3. My kids (and I) would love an Avatar: The Last Airbender licensed theme. Bonus. Not really a theme, just a request for more Minifigs of Color in general. I’d really like to see a lot more Space, but not Space that looks like it was designed to please little kids-Don’t get me wrong-the new sets look pretty cool, but the Space Police ships just look as if they’re so blunted and made for little kids. I’d really like some Space with transparent red (all too rare color) and some tougher ships-and magnets. Plus an Advent Calendar would be awesome. An awesome theme would be a some more mecha (Exo-Force was pretty good, but you’ve done better) with a bit of an older style-nothing wrong with the new style, but the older mecha looked a bit more solid than the new ones. 1- A monster myth series, like Bigfoot & all types of creature legends explorers & scientists tracking them down to trap them. 2- A Six Million Dollar man type series, complete with clear lego bodies, etched with bionics and circuits robotic bad guys extra weapon limbs. — Murder Mystery/Noir P.I. type of theme. I think there’s a lot do work with here in terms of homes with hidden staircases, moving walls, secret vaults, and all kinds of interesting minifig options. 1) Elfquest. It’s a fringe enough property that they could probably get the license for a reasonable price. 2) Something resembling transformers. Doesn’t has to be licensed, but a transforming robot/mecha theme would be great. 3) Superheroes. Marvel or DC would be nice, but probably isn’t a realistic hope. Whatever new themes they do, though, one thing they should take into account is that LEGOLAND NEEDS WOMEN! For every named male character, there should be a named female, for every “obviously” male unnamed character (i.e., one with facial hair) there should be an “obvious” (breasts) female. For a european company, you’d think they’d be better about this. Legoland does NOT need fleshies. All human minifigs should be the same shade of completely unrealistic canary yellow, to avoid bringing the ugly issue of racism into the colorblind utopia that is Legoland. Look at the fleshies they already have, caucasians outnumber brown people by around 20 to 1, and it’s not likely they’ll ever fix that. Best to just avoid the issue entirely. Oh, and there needs to be more purple pieces. I can’t make a proper Sentinel MOC without the right color bricks, now can I? 1- I’d like to see LEGO bringing back modernized version of the Classic-Space with the Trans Yellow cockpits and the Blue/Grey color scheme. This line was the pinnacle of Space fantasy. 2- Also bring back the Vikings with the least of Bionicles pieces infused, the old line didn’t get enough decent sets, it could have had more fort and vehicle based sets, not to mention decent Dragons and monsters. 3- Ancient civilizations and old empires. 4- Detailed Model Team sets. 5- A futuristic military Mecha line. I would love to see the return of a “homemaker”-style theme, only maybe minifig scale. That would certainly appeal to the girls, while not pushing the boys too far away. 1. Post Apocalyptic – in the fallout vein, steampunk type environment combining tech and barbaric elements. 2. World of Warcraft – Huge lore and tons of vehicle/building models you could pump out. 3. Lord of the Rings – Same as above; several characters and building opportunities. 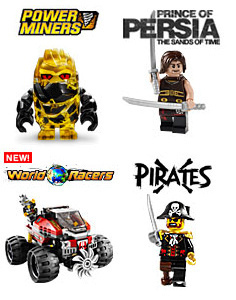 Lego is already making a new Ninja line and a new Egyptian line featuring minifigs like Anubis. 1. A school set is a great idea! I can just picture the teachers desk with a little apple on it. 2. A new line of minifigs that aren’t random. I know Lego is releasing at least four series of collectible minifigs so maybe four is enough. 3. I know Lego is not making spider-man or batman anymore but if Lego is still authorized to produce these themes I;m thinking Justice League and MARVEL stuff. A lot of these ideas are really good, I’d just like to point that out first of all. 1. I agree wholeheartedly with the Steampunk suggestion. It would be great to have some Victorian theme with characters who invent all kinds of crazy stuff, and would make great sets of all sizes. 2. Linking to the video game idea, I’d like to see some Valve-licensed sets. I know it’s probably not going to happen, but how awesome would it be to have Half-Life, Portal and TF2 sets and figs? I think GLaDOS’s chamber would be perfect as the inevitable big set that costs way too much but has all the coolest pieces! 3. I also like the mythology and ancient cultures stuff. That would be really nice and would allow for some great architectural builds, something I think has been degrading. 1) Children’s Literature – I once had a dream about Peter Pan and Alice in Wonderland LEGO sets, and of course children’s literature is littered with colorful character and situations that would translate very well to LEGO. Fairytales would work too. 2) Time Travel Agents – I know it’s been done before, but Time Cruisers and Time Twisters were only the tip of the iceberg. I imagine something more like Agents, where each set is a self-contained “mission” set in a different time period, with new dangers to combat and treasures to collect. 3) Top and Bottoms – This one is completely off the wall, but I’m still gonna put it out there. This one is set in a city, but it focuses on the roofs and sewers. On the roofs are the Tops a bunch of tap-dancing socialites in formal wear (top hats) having fancy shindigs. Down below in the sewers are the Bottoms, a hideous assortment of mutants living off the scraps of the Tops. I imagine the large playset as a big fancy ballroom where the Tops are dancing on the piano and swinging from the chandelier and the Bottoms are clawing their way up through secret passages with vats of slime to throw on the Tops and stain their nice clothes. LEGO Lord of the Rings!!! This is my biggest wish! I would like to see a theme based on Lego Universe. Maybe some playsets of based on the different worlds with minifigs of faction characters. Maybe an equipment pack to add accessories to characters (randomly inserted?). There could also be an option online, like Pick-a-Brick, to create your own avatar minifigure for the sets. Also, an original superhero theme would be great. Agents had some great villians, but I would love to see something with superheros to fit along a similar idea. There could be hero/villian vehicles, secret lair playsets, etc. Sort of like the Spider-man and Batman line, but as an original theme. Lastly a dinosaur theme would be just great! Not like the over-the-top sort of Dino Attack line, but something with realistic dinosaurs (like the Dinosaurs and Jurassic Park themes). Maybe have cavemen with them too. As for my suggestions, first I need to back the idea of a Nintendo license, as unrealistic as that may be. As well I’d like to see the revival of classic space, which in my mind includes the fantastic themes of Blacktron, Ice Planet (3003?) and M-tron. C’mon, how sweet would it be to have them back? Finally I’d love to see “Tomorrow that never saw” theme. 1)Battle of the Ancients theme. Yes, having a good guy vs bad guy series is great, but wouldn’t four different factions be better?! Egyptians, Romans, Persians, Minoans as a first thought? They all have Gods and Heroes, horses and chariots, forts and farms, temples and towers; so much possibility! And zero licensing fees ! 2) Victorian Architecture (minifig scale) I live in a neighbourhood with the largest collection of Victorian and Edwardian villas surviving in the world. Nothing like a good bit of ornate buidling. TLC gave us a nice start with the 1920’s fire station, slightly earlier with smaller sets, cars, carriages, houses, shops etc would be cool. 3) Liking other peoples Noir ideas, and of course the original Blue-coats from Pirates 1. And yellow! Yes yellow. All Lego people are yellow because no race is yellow, therefore your minifigs are whatever you want them to be. Yellow!! Thanks for asking our opinions too..
fallentomato> Re ‘Tops and Bottoms’… there is absolutely no way that’s ever going to be an official theme but damn it needs to become a fan theme. There are some really good ideas here. I would love to see more historical themes (ancient Japan, China, Aztec, etc) Let me add my crazy ones to the mix. 1.) Bonzai trees. sort of like the architect series. I envision a half dozen classic bonzais turned into beautiful organic looking LEGO creations. These could be a mixture of evergreen and deciduous. 2.) Bring back classic space please (or perhaps selected sets from popular themes of the past). 3.) Some sort of micromini non-minifigure theme? Adventurer’s Ancient Space City Monorail! Wow, and of course by “Tomorrow that never saw” I mean “Tomorrow that never was”. Yup, definitely time to sleep. Lego Superheroes, no specific property, just a kind of Lego specific superhero setting. I’m probably going to repeat stuff that has already been posted, but more repetition will more likely cause a theme to end up in the list, right? 1. Roman theme. A Roman theme would allow a lot of buildings and ancient contraptions. 2. Explorer theme. Jungle cabins, trees, hidden treasures and monsters. Perhaps a bit too much Indiana Jonesy. 3. Dino’s are perhaps not as popular as during the Jurassic Park period, but I still think that would sell pretty well. Combining Dino’s with minifig’s trying to ride them and protect themselves from the less friendly ones would be cool. A Nintendo-theme would probably get me broke, but I like it. and barbarians on the other would be fine! 2. A Steampunk or just Victorian theme would surely have a big success. Multi races war. Human, low intelligent alien, advanced tech alien. I’m a fist time commenter, long time reader. Final Note: Down with Fleshies. Saw most of what I’d like to see mentioned already. 1) Steampunk – It’s so hot right now. 3) Retro-space. Classic Buck Rogers and Flash Gordon type of space with art deco inspired ships and buildings. Marvel or DC superheros… I’d LOVE to see this. Spiderman and Batman just wasn’t enough! More, please! Superman, Green Lantern… these would rock my world! I’d also love to see the old western sets come back. Cowboys, Indians, Cavalry… loved the theme, but was a poor kid… missed out on them.. I know my kid’s into Scooby Doo. That’d be a neat theme. Spooky houses, and unique monsters. The Mystery Machine… would be an epic theme! Herman> Wrong. The only thing it’s likely to do is to make me not read your suggestions just as you couldn’t be bothered to read those of other people. 1. Mexican/Cowboys theme (I think the sombrero collectible went down well) – Forts and stuff. 2. Victorian Sci-fi theme (can’t see TLG doing a full on steam punk theme) – ‘tin’ robots, retro spaceships/moon-landing, time machine, war of the worldS, Jules Verne, HG Wells inspired. 3. Ancient Greek/Roman (the spartan collectible went down VERY well) – ruins, giant monsters, minifig size monsters (think Jason and the argonauts against the skeleton army) minotaur etc. I would love to see a Doctor Who theme. The new series is popular in lots of countries, so I’d have thought it would be an ideal licence to acquire. Cybermen would make great minifugures. And the Tardis would make a decent mid-priced set. OK so I’m taking 2 things from the guidelines, 1 don’t repeat what’s here, and 2 if it already was a theme then it’s not really new so I won’t mention it. Also as a AFOL I’ve tried to think younger as I don’t see a whole theme being dedicated to my age group outside of the specials. 1) Circus – Smaller sets would be like the clowns and a car, the acrobats, a lion tamer, biggest set being the rings and stalls. 3) WWE has gone into the market as a ‘child friendly’ production these days. Sets involving the wrestlers and having a ring, steel cage etc would be a great marketing ploy for both sides. 4) A Discovery Channel linked extreme sets: Lobster Trawler, Ice Trucker, Tree Cutter etc. 6) Track racers – Not the current style but using a track similar to the monorail and acting like scalelectrics. Buy track, cars, stands, pit crews. All controlled via radio control. OK 6 is enough I think! I think they should a “Locomotives of the World” series, or “Steam Locomotives of the World.” Pick a few select engines that are highly recognized (i.e., the Flying Scotsman, the 119 and the Jupiter, et cetera) and release them. Maybe with one or two cars, or in my example of the 119 and the Jupiter, released as a pair. I could see some very interesting building techniques coming up, and we’d get more steam locomotive wheels, in different sizes! Also Blacktron and Nintendo. That’d be pretty groovy. 3)	Starcraft licensed Them: after movies and cartoons Lego should try computer games. 1. Licensed Nintendo characters would be sweet! I think they’re pretty closely aligned with LEGO’s values of creative and quality fun. 2. “World of Tomorrow” sounded great to me. A somewhat realistic, yet advanced, with a bit of irony and a dash of cyberpunk (steampunk?) and a lot of optimism for a change. Sort of a cleaned-up Futurama-ish city. LEGO could probably come up with a story and a set of mischievous characters to make full use of such an environment. I’d like to voice support for the Mythological/Ancient History theme ideas, but I’d like to add that I’d love to see “monster” pieces that were more than just monolithic pieces with perhaps one jointed appendage. While I can understand the calls from some to avoid Bionicle-based creatures, I much preferred them over the Rock Monster from Rock Raiders. So if LEGO does pursue a Myth theme, please please please give the creatures as much detail and attention as the buildings and vehicles. 1) Expansion of the current Space Police line, where perhaps sub-themes could focus on the individual alien races introduced. What do their main civilizations look like, architecturally and technologically? The last thing that came close was the “Life on Mars” series, and I’d like to see something like that come out for the people of Squidhead and Rench. 2) Something like the old Kenner M.A.S.K., wherein vehicles could be reconfigured into other vehicles or equipment. Since it’s LEGO bricks, the need for mechanical linkages isn’t the same, plus I think it plays strongly with the nature of LEGO. Heck, it could even be an expansion of or a tie-in with the World Racers theme. 3) While this might sound like Myth/Ancient History again, I’d like to see such a theme specifically scaled and balanced between any sub-themes or related themes. For instance, if LEGO were to produce an Egyptian and a Roman theme, I’d be looking for “battle packs” of soldier-type minifigs, some civilian-type buildings/playsets, and perhaps a 100.00 range “wonder” such as a Pyramid set or a Colosseum set. Truth be told, I’d really love if such a theme could work like Age of Empires or Sid Meyer’s Civilization, one that could be ‘played out like a strategy game’. 1. Retro-future “googie”-styled space city: The Space Police need to have a jurisdiction. With the architectural outlandishness of the Atomic Age, this could feature sublines similar to those in the modern City line. 3. I wouldn’t mind seeing a revival of Agents in a couple years or a similar line with “superheroes” of some kind. The villains in the Agents line had such personality; I’d love to see the heroes have the same level of flair. The design quality on some of the Agents sets were fantastic as well. Retro, James Bond, perilous situations, and villain monologues! have to say the nintendo idea sounds amazing, i can just picture creating full mario levels as sets, and it never getting old. my suggestion would be music. they made lego rock band, but never any sets to accompany it, id love to have a lego drum kit. I’m in favour of the Victorian, steampunk, and prohibition-era noir aesthetics for a minifig based theme. 2. Exo-Force, but not stupid. Look at what kids build on flickr, they have great aesthetics. Think more Halo… because they do. 3. Steampunk vs Zombie , those sets would have great parts. Returning Alpha team with Ogel. and a 1920-1930’s gangster theme with tommyguns fedoras trenchcoats and old fashioned cars. In a H g wells time machine or a steampunk style. 1.) I’d love to see a classic monsters/ monster hunter (van helsingesque) theme. 2.) some sort of return to exoforce… Except more customizable… Maybe like a mech warrior style mech system, you could change out arms and legs and stuff. 3.) expand the current kingdoms/fantasy line to include different factions while I’m not totally sold on the WoW theme something along those lines would be awesome. My support comes too to Greek/Roman, High School, Zombie, Western/Indians, non-licensed Superhero themes. The High School theme could be some kind od undercategory for City like Spaceport and Police. Also we get back to Cheerleaders as probably not many people have got the blues ones of the Collectors Figs line. Maybe the theme could be High School Musical inspired from the colors. Red cheerleaders and sportsmen. The superhero theme or maybe the Agents theme could rely more on traditional villains like some mad scientist of the Frankenstein/Dr. Steel/Dr. Horrible style, with less color than the ones of Alpha Team and Agents. had. My only original idea would be LEGO simple life, a theme more down to the normal people. All the houses and the City Corner were a good start but I would like to see this expanded to supermarkets, banks, maybe even some kind of town hall, court or even Downing Street inspired house for the government with a wider array of people in suits (brown and light grey ones instead of black all the time). If the theme is too boring, the sets could be cross advertised with the superhero theme or maybe even included in it, like the supermarket is robbed by some thieves or a villain is about to steal all the gold of the bank or kidnap the president. 1) Haunted house sounds great! Monsters and monster hunters would be a lot of fun. 2) Blacktron to torment the space police. 3) Since the Lego Hero Factory team is made up of robots, how about a tie-in line made up of minifigures? Expand the City theme to offer something for girls. Girls want to play with minifigures, but are not as interested in construction or police. How about a fashion and family line? Using minifigures that can be customized by adding different clothes or accessories? – I think MKyuun was the first to suggest some sort of Transformer (or knock off theme). I’d throw my vote in for that (my vote transforms into an eagle as well). – Half the comments would like to see a Steampunk theme. I’d add to that echo chamber. – Post-apocalypse and/or Zombie. I can’t see Lego actually doing this, but if they did, they’d drain my bank account. 1. We’ve got ground, sea, and space based sets. How about a sky theme? Floating bases, planes, dirigibles, ornithopters, flying animals (birds, dragons, etc..). Mini-figs or their adversaries could sport wings as well. 2. Volcano theme. Might resemble something like a kid friendly version of Hell (note: probably not the best way to pitch this). Maybe this is where the Rock Monsters came from? The firefighter sets/mini-figs could be the heroes/adversaries. I’m thinking fire monsters, imps, demons, lots of lava, that sort of thing. 3. Power tools. These would be working, if ineffective, power tools. Drills, saws, sanders, nail guns, vice grips, etc… They’d spin, reciprocate and so on but they obviously wouldn’t be able to do any damage to anything or anyone. 1) Supporting any of the dinosaur requests, palaeontology dig-sites, dino-hunters, cave-men dinos or just standard dino sets. Perhaps a Jurassic run, a Cretaceous run and a Triassic run with only the correct species of dinosaur in each. 2) LEGO History, do lots of different historical sets, ancient Rome/Greece, great wall of china with Mongols, the completion of the transcontinental railroad, construction of the Sphinx etc. Perhaps joined by a time-traveler, though just history works quite well. 3) Supporting the Roman idea – all the Roman war machines and a mini legion would be amazing, really amazing. 1. School. Let’s keep it simple. Lego was mainly designed for kids (I know this is an AFOL website, but I hope you understand my thoughts). Although, I can not remember seeing any kind of school building before. It’s a place where kids go every single day, so . 2.Roman/Greek. Lot’s of people explained this already. So I’ll just “vote”. 3. Something like a lego version of Arthur and the Invisibles. (http://en.wikipedia.org/wiki/Arthur_and_the_Invisibles). Not the same story and creatures, a real LEGO version: “the quest for the forbrickken kingdom”. Imagine, a small group of lego figures, in a world of lego (NOT as it is now, it doesn’t have to be realistic, it has to be original). They search for some sort of special brick, and in the end, it turns out to be a “basic/ordinary” brick. They’re all dissapointed, but their jouney to the brick brought the friends closer together. They realize that the quest for the forbrickken kingdom wasn’t a quest for wealth, but a quest for friendship. Through their journey, they have to travel a long way through earth, space and beyond. They can encounter new people/creatures, and find new planets and friends. 1) Star Trek – multiple ships to be created, as well as iconic characters to present as minifigs. 2) Battletech – Not only are there a ton of different designs, but there are several “eras” that can be used as new waves for refreshing the line. 3) Classic Space – others have presented this better than I can. 4) Military – now that we have seen the Star Wars Lego kits, there is no reason NOT to have sets with weapons. As you can see from many places online (including here…) there is an interest. 5) Steampunk – also presented by others. 1. A line based on Greek (or perhaps Nordic) mythology. 2. An ancient civilization theme, perhaps Roman or Greek. 2. A fictional military theme, either with two opposing forces, or a more outlandish enemy such as aliens or zombies. Lego n00b here so bear with me. 1. Nature/eco/environmental theme, tied in with a brick recycling program. Models could include Yosemite’s Half Dome, Victoria or Iguazu Falls, the Grand Canyon, the Rock of Gibralter, etc. Or: models/minifigs of endangered species (both plants and animals): black rhino, giant panda, big leaf mahogany, goldenseal. Even a hybrid car. Most lego models I’ve seen of natural stuff look terrible — to do this right they will need to create a whole system of pieces and modules similar to when they came up with Technic or Bionicle (they would need to be natural looking, with variegated color and shape). The recycling program could involve including an envelope in new lego sets which you could use to send your bricks back to Denmark when you’re done, instead of throwing them into the trash and having them make their way to the great Pacific garbage patch to be swallowed by fish. Lego, since they make nonbiodegradable products, has both a responsibility and an opportunity to do something to help the environment. 2. Lego rock and roll band!! Why not, this would be hilariously awesome. I am picturing a minifig with a mohawk and flying V guitar… sets could including arena stage (with amps, lights, etc), recording studio w/ giant mixing console (LOL), tour bus, etc. I would totally love it if they had this. 3. Lego literature. Let’s get the little brats interested in reading a book once in a while. Scenes from Oliver Twist, Don Quixote, Tom Sawyer — even Shakespeare (I’m picturing a Theatre-in-the-Round set). Bonus: you don’t have to pay licensing fees for stuff that’s in the public domain. 3) really any historically based theme, but i think a Victorian/Steampunk theme probably has the most legs for having appeal for children too. I am definitely jumping on the band wagon here. I think with North Woods there would be all kind of options for new animals, forests, logging sites, and Pioneers would have cool options for outposts, wagons, etc. New minifigures in this theme with cool little sets like the castle theme. 3. Star Trek! Yeah I know “MegaCrap” or “PooBuilder” has the contract but it would be nice to dream. Maybe when the Star Wars contract ever ends. Go LEGO USS Defiant! I’d love to see a Greek mythology series. You could have Bellerophon with Pegasus vs. the Chimera, Odysseus vs. the Cyclops, Hercules, Ajax, the Trojan Horse. I’d also love to see Lego City style zoo series. Duplos has one, but I’d love to have my minifigs looking at lego animals like the new ostrich and camel from Prince of Persia or the ape that’s coming up with the 3rd series of minifigs. Maybe add an aquarium with sharks, octopi, etc. They could reuse a bunch of existing molds that haven’t been around in years, like the bear. Finally, a classics of literature series. Sherlock Holmes, Captain Nemo, Professor Challenger, Allan Quartermain, Tarzan etc. There’s a lot of room for play and imagination there. I would really love a history theme. Maybe different important events could be made into sets. Things like Rome, Napoleon, the American Revolution or civil war. Stuff like that. It could even be made into an action theme by making time travelers who are visiting each era. 1) Reissue classic space or versions based on Pete Reid’s. 2) Reissue yellow castle sets and add new sets to that style. 1- As said before Disney now owns Marvel so why not MORE Spider-man sets. This time based on the comics, bringing in all his old villains and different Spidey suits. 2- I’m going to be the one peson to support Ben 10 (not in the face! ), but scrap the bionicle set up and make some sets with great minifig aliens and Kevins car. 3- Doctor Who… not going to happen, but I still want it. 1- I’d love for Atlantis to continue for some time. I think there’s still a lot of room for expansion. 2- I also think the time traveling idea would be a great theme if exectuted right. It could be designed like Space Police where time agents track the bad guys to different time periods to stop crimes. The theme could encompass the themes we as adults want (Romans, Greeks, Prohibition, Cavemen, Wild West), then if a particular time period sells well they could revisit it or scrap it and move on. Even the future is up for grabs, there’s literally no way this could run out of material. It integrates the top sellers like vehicles and smaller sets while keeping costs lower by using existing elements and possibly even crossing over into other existing themes. LEGO could even have some historical moments like the bad guys trying to stop The Wright Brothers first flight or Franklin’s electrical experiment. I’d personally love to see a set with criminals making off with the newly finished Mona Lisa with the time agents and DaVinci pursuing in his flying machine! Having both been a kid and having a boy and a girl, I think some parity is needed in some aspects of LEGO. 1. Disney/Marvel theme super heroes, similar to how well the Batman sets came from DC, there is the Marvel universe to explore with the Hulk, Iron Man, Green Lantern, Spiderman, etc. Of course Spidey has been done before, but with the growing cast of movies being made, there are 4-5 sets per movie! 2. Disney Princesses, my daughter is 4 and loves the princesses, but to have an ability to build something and create a castle with different rooms would be awesome. Snow White and the Seven Dwarfs are perfect with the short legs of the dwarfs, poisoned apples, horses, princes, carriages, frogs, wishing wells, towers for Rapunzel, swamps and crocodiles for Princess and the Frog, canoes for Pocahontas and ships for John Smith, Peter Pan characters, etc. There are easily 20-30 sets, mostly smaller, that would fly off the shelves! the collectability and combination of the sets would be an instant hit. I see these as mostly smaller sets with only 2-3 large sets for a castle or tower type build, not that the girls won’t build, but ensure that the small sets hook them! 3. CIRCUS This is my long festering idea. Many size sets from lion tamers, side shows, tents, three rings, elephants, little parades, a circus TRAIN! Ringmaster with tophat and whip, clowns, a little VW bug for the clowns, bears, grandstands. the tents would be 1/2 or 1/3 the actual covering so you can play with them, but use cloth (like the sails) for the canopy. Mini zoo cars for the circus, food stands with balloons, maybe some tilt-a-whirl or easily movable fair type rides. I also think a lego world of warcraft STYLE lego would be cool. Like with a mage, zombie, hunter, dwarf etc. These could be in a group to a quest with lots of different areas and obstacles like goblins and witches and those sorta things. My third idea, (my first was in another post) is a lego celebrity theme. These sets wont be overly massive so about 5-10 pounds. For example: Steve Irwin with a croc in a small (6×6) jungle scene, Lewis Hamilton in a race car track scene or Hannah Montanna (not that I like her) on a stage. You could also include a historical side of things as well like martin luther king, winston Churchill or John Lennon. What about a forest rangers theme with jeeps, forest animals (bears, wolves, etc. ), and maybe a cabin or base. 2) world of warcraft style fantasy – could supplement the Kingdoms line. Anybody else miss the trolls from 2007-09? Or the dwarves from several years ago? 3) somebody else mentioned a time traveller theme. good idea, LEGO could see which particular time periods connect with consumers, and then expand on the most popular ones. 4) rather than Space Police, how about a planetary explorer theme – where the astro explorers visit different planets, each with unique environments, inhabitants & cultures. Great platform for different funky minifigs and weird plants and architecture styles: Robot planet, jungle planet, hive planet, gaseous planet… zombie planet. And I’d like to support WWII as a theme. 1. I would really like to see the return of Batman. Or maybe some other super hero related theme, such as Marvgel or DC comics. 2. I would really, really like to see a Tintin theme. That would be probably the best theme ever. 3. I would also like to see maybe an Asterix and Obelix theme, which would basically be a more modern castle theme. 2) Nintendo – This would be awesome in every way, plus it appeals to both young and old. Mario minifigs FTW. 3) Super Heroes – Licensed or not, this theme could have lots of potential. Different hero/villian minifigs in CITY style settings with various crisis situations and civilians. @doodguy Asterix is based around Roman times, and the current Kingdoms theme is based before the Roman Era. To me the LEGO Castle theme looks to be a medieval-style castle, and as such would be in the style of castles built between ~600AD and 1500AD. Why do you think the Castle theme is set before the Roamn Empire? – Realistic space exploration, something like 30 years ahead in the future: Mars and the moon colonization, asteroid mining, deep space probes… with no conflict involved, please. – Medics and veterinarians. A large Hospital center. – Large TECHNIC bridges, fitted for trains. – Bring back Model Team, with old and modern cars and trucks. – Bring back TECHNIC universal sets. I got to say its all about Space. Of course there should be an Neo-Blacktron and if there isn’t one in the pipes already, I’d be surprised. Personally, I think Space needs to branch out into “life in Space.” Take the current Space Police theme and style and present civilians to the mix. The theme could be called “Galaxy City.” It could include futuristic buildings, and civilian vehicles as well as alien families. Because really who does the Space Police protect? Where are the civilians that use Asteroid ATMs? Where are Brick Daddy’s alien Lady friends? Space has always been my favorite Lego theme and it is what brought me into loving Lego so much. 3) Just more of anything Lego Space! @Batmanian – I would love to hear why you think the current Kingdoms line is based before the Roman era, when everything in it is medieval. You are correct about Asterix being set in Roman times though. Take the Pirates in more of a fantasy direction, like with Castle. I really want to see some ghost/zombie pirates, and the POTC theme isn’t going to cut it (or last more than a year or two). I’m 14 and would love to see maybe a Mech/Robot theme. I remember the LEGO pod sets, and loved the robot when I was little. I would also like to see Classic Comeback set theme, where LEGO releases an old theme for about a month in the stores. I don’t know, I am just confused. To me the Roman Empire seems more advanced than the current Kingdoms theme (architecturaly). But I just made a mistake (I am do not know to much about ancient history, clearly). I just would like to see an Asterix license. I’m especially drawn to the suggestions people have already made for the Greco-Roman world (including mythology), and futuristic civilian space sub-themes. My other hankering is for a really well done theme appealing to elementary school age girls. Talking to a few moms at work, they bemoan the difficulty of keeping their daughters’ interest in LEGO once they get to System age. Maybe a pop star theme or expansion of more gender neutral sets within the City theme. I’d like to see the Paradisa themes again, just with less girlish stuff, but without changing the concept of vacations, horse riding, and more girl minifigures. 2. 2nd vote for Monster/Halloween theme. Devils, mummies, zombies, Creature from the Black Lagoon, Invisible man, Bride of Frankenstein, Phantom of the Opera, The Fly. 3. Avengers, Justice League and X-Men: Stop with one-off heroes (I don’t need 10 versions of the same hero.. see movie license comment above), please license them all. Every other toy company does this. I feel that while racers is good with new ideas, and as a ‘gear-head’ myself, they just don’t do much in the way of minifig(s) in cars that look realistic anymore. I was thinking of a cowboy-vigilantes-bounty hunter theme where vehicles play a main part. The twist is that in this world different materials have been alternately used to power machinery instead of petroleum (hydrogen, nuclear, electric, etc). This way, LEGO could be promoting fuel efficiency in a way to appeal to car-lovers. Each hero(ine) has their own choice of car/power and have different means of trapping the ‘bad guys’. Cars from the ’70s and previous would be perfect, but exceptions can be made (character’s personality will match their designated cars style). There should be a storyline behind the leader at least, having some kind of life-altering occurrence. The hero doesn’t have to be male, unlike most of the other themes. Possible characters traits are: Swift Racer- quick, sporty, live-in-the-moment, low armor, high-fire-rate weapons…Blockade- huge, muscle, not the brightest, heavy-damage weapons but not as accurate,kind-hearted…Tactical- average, practical, engineer, intelligent, high-accuracy weapons…Prince(Princess)- rides-in-style, whiny, always gets their way, pompous, whatever weapons they find they use…The Brain- genious, eccentric, everybody-is-below-him/her, weapons are constantly changing, random damage type. At least one of these characters should have a sibling either in the group, with the bad guys or hostage. Just for a few name ideas: ‘Hot Rod Vigilante’, ‘Desert Riders’, etc. I don’t care as much about credit (just ‘User designed’ is acceptable) as long as it is considered, I wil be happy. a few features should be present on/as the models: an engine (not imperitive) because each car has a different power source, they will look strange-ish, some kind of forward weapon, a ‘mine’ (rear weapon) and a special weapon, bonus kudos if the under-car parts aren’t just a flat plate (however I can’t ask for everything), and a temporary bad guy and a long-term bogey. Sets could be sold as separate ones for each hero(ine) or all in one big bundle, various different vehicles for each character for each battle/scene, a ‘boss battle’ ends the model year/series. Third theme: ‘Destruction Arena’ Each set is different where the weeks contestants battle some kind of machine. Robots, cars, mecha, bio-mechanical suits, etc. There is a ‘ring’ or boundary, a reporter/TV news crew, rescue (amberlamps, wrecker), and each TV episode takes place in a unique place (oil rig, island, volcano, abandoned factory/plant, desert, forest, tundra, suburbia, urban, underground, rural, etc.) The battle is between two main competitors with extra entries so the focus isn’t just on two people. 1. Psi-Force! Nifty launching clear energy blasts, force shields/bubbles, swirly clear parts for bodies/heads, light-up bodies, psionic criminals and the Psi-Force unit that has to track them down. 2. Steampunk! Old victorian style designs with giant mechanized creatures/contraptions. Lots of silver, copper, and bronze pieces. Think Wild Wild West designs, giant lego mechanical spider and such. Goggles, helmets, scarves, guns with dials and chemical tubes all over them. And most of all, lots of gears/levers everywhere! 3. Space Race! Souped up F-Zero style vehicles and drivers in a galactic race over different types of planets (Ice, fire, water, tech, etc). Removable panels, replace with battle damage parts, cockpits that detach from the main body, lots of pop-out blasters and James Bond style devices on the race vehicles. Clear lego smoke designs for the tailpipes! I have a couple of concepts that I think could work out pretty well. 1. The return of Ice Planet. It did well on its initial release, and I think it could certainly do well again. 2. A horror/spooky theme – sort of like the LEGO Studios sets. Based around various iconic monsters, with things like a mad scientist’s lab with a Frankenstein’s Monster, a spooky forest with gremlins and werewolves, a vampire’s castle, a mummy’s tomb, a swamp-monster, that sort of thing. Would probably sell very, very well if released in the later half of the year. 3. A theme with samurai and ninjas with pagodas and mountain castles and the like, but instead of having two factions, have the samurai and the ninjas team up to fight youkai monsters (things like kappa, dragons, tengu, oni, etc.). Fairy Tales can be done without license, even Wizard of Oz is public domain (although the Warner Brothers’ designs are not). Same holds true for Greek and Roman Myths. Non-licensed super heroes is a bad idea though. a) Rick, Ilsa, etc. near the plane and hangar [Casablanca]. b) Sam Spade and Capt. Jacobi in Spade’s office [Maltese Falcon]. e) The clock tower, Delorean, Marty, and Doc [BTTF]. What crgennaro and apparently some other people said – I didn’t read down far enough before posting… The point would be having a breadth of variety within the theme, not exhausting every possible riff on a single movie. That gets old quickly. 1. Lego Lord of the Rings. I want Lego Lord of the Rings. Lego Lord of the Rings! Lego Lord of the Rings! Lego Lord of the Rings… Ahem. Anyway, Lord of the Rings is practically tailor-made for Lego. Just think of the architecture, the battle scenes, the minifig sets etc, etc. And don’t forget…Lego Lord of the Rings: The Video Game!!!!!! 2. Lego Star Trek. I like Star Wars, but I love Star Trek. Just imagine those awesome ships from Star Trek…IN LEGO!!! Kirk’s Enterprise from the original series, Picard’s Enterprise-D from TNG, the Defiant, Voyager, etc, etc. 3. Lego Doctor Who. This would be a fun theme. Little Lego Daleks Exterminating other minifigs. That alone is reason enough to have a Lego Doctor Who line. A Lego Doctor and a Lego Amy escaping from Lego Cybermen in a Lego TARDIS…everything really is better with Lego, isn’t it? 1. Appeal to the late teenage/early college years crowd – make Lego sets that are based upon popular games like Mass Effect, Borderlands, and Half-Life for example. Movies are another good suggestion, although previously mentioned. Lots of people would like to see Back to the Future in Lego form. 2. Make a historical/educational series for young aspiring hobbyists, parents looking to bond with their kids, or vice versa. Replications of events like the first successful flight of the Wright Brothers to the 101st Airborne defending Bastogne. 3. Bring back old sets and series! Give the Hydronauts and Stingrays a nice revitalization with new pieces and sets, for example. I asked my nine and 13 year olds what they would want. 1. Another big vote of support for “Ancient Rome / Greece”. 2. A “Famous People from World History” theme for a series of Collectable Minifigures. 3. “Revolution!” a theme inspired by event, people, and times of the American and French Revolutions. 1. In support of Ancient Rome/Greece, BUT including Ancient Egypt. Ancient World theme, basically. 2. Historic Inventions – Cars, planes, boats, buildings, anything old and important and with a cool design. 3. WWI/WWII. LEGO needs to make this already. I know, I know, they say they won’t. But come on, they already made IJ, complete with WWII Germans and then Soviets. They don’t have to violent sets, but at least minifig scale tanks and planes and etc. 2 Perhaps some sort of Insect theme? Kind of like Insectoids, only real insects and arachnids. Also, I think a LEGO Bands theme would be awesome, to tie in with the LEGO Rock Band videogame. There could be like different gigs in addition to tour buses and stuff. First time I went through the extreme hassle of logging in here in a long time. I hate wordpress so very very much. Like Samurai Jack, Heavy Metal, Brütal Legend, many rock album covers, etc. High technology or modern vehicles with fantasy magic and creatures. architecture is a blend of fantasy and sci-fi (like Minas Tirith or Helms Deep with the tech of the X-Mansion, and landing pads and laser cannons built in). Conan/He-Man type heroes, scantily clad warrior women on pterodactyls. Spaceships and dragons. astronaut warriors guarding space age ruins. Crazy helmets and armor, reanimated skeletons and other fantasy magic staples, futuristic aliens, robots, giant brains, and other sci-fi staples, and elements of historical civilizations. LEGO space themes tend to stick with one color scheme through the sets of each theme – why not do a wave of creator sets where 4 or 5 different sets are dedicated to our favorite space themes? one set for each faction, bringing many possibilities for your own designs and a theme’s worth of instructions in one amazingly versatile kit. There could be a set where the main model is a ship but it could also be an oversized alien, raygun, rover, robot moonbase, space station. another possibility – if there were a set where the main model used two complimentary colors, an alternate model could be two smaller ships with a single color. or the main model could be the two opposing ships. we could get a minx mold for around a rich lady’s neck. some sharp dressed mobsters. private eye. the flagship set could be his office building, rich lady walking past, mobsters on roof about to drop a piano on her, with the detective running up the stairs to catch ’em. sobbing gorgeous silver haired blonde waiting in the office. the only thing differentiating this from the other suggestions is I’d want everything to be grayscale. no color whatsoever. 3) Anything involving an animal and somehow putting it in a robot body, like with those BIG sharks. I would like to see a City or Action theme based in a world up in the air. Almost like a Cloud City with lots of airships, aircraft and floating worlds. We’ve seen worlds underground, underwater, across all terrain and up in space but never one up in the clouds. I would find a theme based on modern action movies like “The Matrix” interesting. Imagine, a car chase set, a final showdown set, roberry, etc. I support Ghostbusters. With a new game out recently, it wouldn’t be hard for younger kids to be interested in that theme. Maybe, Dr. Egon’s lab? Updated ectomobile (possibly based on a modern vehicle rather than the originals)? The original Ectos? A large scale Stay-Puft figure? Who knows. Interior Decorating. Like, larger-scale rooms and furniture. Martha Stewart stuff, ya know? Support Music. I was hoping to see some sets accompany “Lego Rockband, but I wasn’t satisfied. Think about it? Recording studio, stage, it would be totally awesome. Minifigs based on specific genre/scene, such as Hip-Hop, Heavy Metal, Punk, Classic Rock, Disco, Classical, Emo, Grunge. I like the licensed car sets, but I’d rather see some makes and models that aren’t so exotic, like Lambo and Ferrari. Normal vehicles, like Minivans and Suvs and RV’s. Sets based on news stories from past & present. (Nothing too violent or tragic). Berlin Wall, men on moon, etc. Machinery other than vehicles, such as scale assembly lines. Charity organization sets. For every set sold, some money goes to that charity. I’d love to see a Time Travelers theme: a team of intrepid heroes vs. time-traveling treasure hunters. Each set could take place in a differerent ancient civilization or famous time period (maybe even a sci-fi future) with both sides competing for a relevant artifact with high-tech gadgets and souped-up time machines. Oh yeah and Jurassic Park. I know there were some Speilberg-themed sets in the past, but this time based on this specific property. 2. Steampunk/victorian/mad scientist/monsters/timetravel/haunted house. Haunted victorian house? maybe a Mad science theme to encompass all of this? 4. Monster hunters/ghost busters sounds great too: Werewolves (without the goofy “wolf helmet”), vampire (actual characters), science experiments, zombies, big foot, lake creature, mothman, boogieman, yeti, jeckyl/hyde, killer robots, ghosts, etc. 1. Classic/vintage cars at minifig size. In cool colours, maybe with accessories too: Chevy and a 50’s drive in burger joint? 2. Zoo theme (mentioned already, but I wanted to put in my 2 cents): with all the animals Lego already make (Elephants, camels, ostriches, alligators, monkeys, snakes, frogs, spiders, polar bears, owls, parrots, hawks) and some new ones (Zebra, tortoise, giraffe, kangaroos, orangutans, bears, gorilla, seals, penguins, lions and tigers, hippos, rhinos, pandas). Each set could be different exhibits that could be modular: put together to make a zoo of any size. Elephant trail, Lion safari, reptile house, seal/penguin pool, bear caves, panda bamboo forest, petting zoo (with horses, cows, pigs) aviary, aquarium, monkey jungle. Other zoo bits: Kiosk, keepers in jeeps/golf carts, tour train, snack/icecream/gift shop, front gates, keepers work hut, kiddie rides. 1) We can have the Mole People invade the City sets. Call them the Underminers and have them want to take out the surface dwelling folk. Yes, I stole some ideas from The Incredibles. – Parts of the city itself, landing pads, bar etc. Mystery House. A modular, build-by-the-room series of sets, that could be arranged and rearranged for minifig scale houses, that expand in the direction you choose. Sets could include such rooms as the kitchen, the library, the conservatory (alright, so it would be a gateway to the boardgame, Clue, in LEGO. But, each set would be a single room, meaning four complete walls, with doors, windows, and the like, and complete interlocking parts with interchangeability. Capstone sets could provide architectural details for exterior walls to enhance the house and further define it into different architectural styles – Tudor, Bungalow, Victorian. Just imagine a Tudor mansion, with one crime (murder?) and the colorful cast of investigators/suspects! Atomictao and someone else got closest to my ideal: considering how popular Leonardo da Vinci is, some sort of renaissance series which put minifigs in and with his unbuilt inventions would be fun. Sort of a pre-Steampunk/post-Kingdoms series with City States squabbling, no? Even as a teacher, I’d agree that “School” themed City sets could be fun. A good update of the Time Travel conceit – not Time Twisters, since those seemed odd (though they were smack in the middle of my dark age). I read LEGO A-Team. If LEGO got the rights for A-Team that would be the greatest thing ever! I am with richselby, dom, Jacob P., and whoever else agrees…. BBC’s Doctor Who is entirely perfect for LEGO! It is an action-packed show, it has an unlimited supply of awesome humanoid aliens (perfect for alien minifigures!) and the main character is always steadfast in trying to avoid violence by using peaceful methods. Oh, and did I mention? It is FAMILY-FRIENDLY. With a TV-PG rating for violence, it is WAY tamer than the PG-13 movies LEGO has licensed on the past. Not to mention the Time Twisters and Time Cruisers way of making it possible to switch between themes, in which Doctor Who excels– after all, the whole show is based around traveling through Time and Space! Bottom line: Check out this amazing BBC show, America! Let’s get it to catch on and warrant an official LEGO theme! It’s mentioned above already. More girl themed Lego but different from Bellville. I am not even slightly interested in that. IMHO, the old Paradiso was better though not quite as good as other themes. 1. Final Fantasy theme (I can dream). 3. Zombie (Okay… I know… not girly). I think some kind of detective line would be cool, possibly a time traveling detective to satisfy all the Doctor Who people. It would kind of fit between the Victorian Steampunk, and all the people wanting ancient world stuff too. Power suits; system/technic/Bionicle based, designed to fit a Bellville figure. the figures using the power suits wouldn’t necessarily be Bellville, but i guess that could be fun too. Robot carnival. Retro styled amusement park with robot operators and side show. Other than that, I like Keith Goldman’s ideas. I, For one apologize for breaking your ridiculously simple and clear rules. They were, in the greatest tradition of simple and clear rules, misunderstood completely. I Encourage you to please disregard/delete my previous comment as it garners no useful information. World Treasures Theme – doesn’t have to be minifig scale but could be. Focus should be on natural wonders, national parks, unusual creatures, plant life, Trees!, etc. Industrial Theme – Factories like Saw Mills, Steel Mills, Shipbuilding, Aerospace, etc. Scientific/Invention Series – Could be minifig scale and/or life size instruments. Telegraph, Electricity, etc. A great idea for a theme; X-Men. Besides the new minifigs and new sets, it can branch off to Lego-Xmen for the game systems. Steampunk would be the bomb! The post two up is a demonstration of how to get completely ignored by me. Please let it be the last post I ignore in this thread. 2) If it’s possible to get a licens it would be awsome with a fantastic4 theme! 1. Space History – Apollo Gemini, Mercury, Skylab sets to go along with the Shuttle set. 3. Sports Stadiums. It’d be cool to build Dallas Cowboys Stadium in Lego. Or Yankee Stadium, etc. I agree that a Cloud City/Carbonite playset would be cool. Also a Quidditch set for Lego Harry Potter. Famous Pirate ships for the Pirates series – like the Bon Homme Richard, etc. ^Coolest toys Lego has already made a cloud city set and has made two Harry Potter Quidditch sets. My comments are pretty much reinforcing some of the ideas that have already been put forward. 1. Re-Hash of the Wild West theme with a Cattle Ranch you could have a gang of Cattle Rustlers as the villians well as some Wild West town sets such as a Saloon, General Store and Train Depot with a Wild West Train. The Train could have a typical 1860s style 4-4-0 for the locomotive a Cattle car, boxcar, open wagon and Caboose, there could also be a Passenger version with 2 coaches or alternatively just sell a coach on its own as a supplementary to the train set. 2. City Zoo or Widlife Park, the range of animals now available makes this theme a lot easier to implement than in the past. New aniamls that could be intoduced are Hippo and Rhino utilising the Elephant/Dinosaur body but with new parts for the heads and shorter legs, Zebra’s would be easy as they could just have a horse with the Zebra stripes printed on them. 3. A Greek or Roman theme fighting mythical creatures sounds good as well. Encompassing all the classic and new animated features. Sleeping Beauty; the castle, Maleficent. Snow White; the dwarven cottage, the mine. Cinderella, Peter Pan, Little Mermaid, Beauty & the Beast, etc, etc. There are literally hundreds of sets both small and large that can be fit into an all encompassing Disney theme. It might also entice some girls to try Lego as well. Even sets based on Disneyland park itself. A Mythology Theme covering Greek, egypt, Norse, ect..
Bugs, Similar to Bionical and hero factory. I really like knogood’s NOIR detective theme. That era doesn’t have much in Lego outside the cars from Indiana Jones 2 sets. I really got a kick out of fallentomato’s “Tops and Bottoms” theme! manfromporlock’s Casino/Vegas would have plenty of great trans-colored pieces and Neon signs! Also like the State themed sets that ThatWyomingKid suggested. 50 cool vignettes maybe? mipakr’s North Woods theme would be awesome too, Lego Lumberjacks, Mounties maybe, those Lewis and Clack hats. As a Minnesotan that’d be sweet to see. Optimystic’s 1920’s idea is something I’d like to expand on; Lego Golden Age Films. Think Hollywood in Chaplin’s time. Those would be some cool sets/figs. What about some diving sets that aren’t modern? Old submarines/boats/scuba gear with the spooky metal helmets. Creative Anarchy’s Office sets idea is really cool. I support it. Same with jbottgen’s Super Heroes/Super Villains theme. I also like the Greek and Egypt ideas. And a return of Ninjas and a return of Cowboys (maybe with some more Mexican sets too. They didn’t just fight Indians) as well as Forestmen and old Space from the 80’s or 90’s and the Time Travelers. I just LOVED those big barrels from the Cowboys/Indians sets that minifigs could fit into. This is great that all these cool ideas can be heard! Thanks to everyone who liked my Highschool/school idea by the way! 1. Like many other people have said, a Nintendo theme, such as Pikmin or Metroid. 2. Also stated by other posters, a HALO theme. 3. Left 4 Dead theme, full of zombies and weapons. Not sure if it’s been suggested. animal race: ininfig who ride wild animal. DUPLO CAVE PEOPLE – Please do not put cave people with dinosaurs. If viable, they could be accompanied by sabertooth tigers and wooly mammoths. CRUSADES – Historically accurate, technical builds, higher age bracket. THEME PARK – Excellent cross-theme collection opportunity. Possible alternate builds. E.G. – Swinging Ship (Pirate), Roller Coaster (Castle), Tea Cups or Balloon Ride (Disney or Bellville), Log Ride (Western), Ferris Wheel (Space), House of Mirrors (Zombie or Horror), Cross Park Train (Train), Go-Karts or Bumper Cars (Ferrari), Ice Cream Vendor (Space), Pizza Vendor (Castle), Drink Vendor (Pirate), Guess Your Age (Castle), Water Gun Game (Western), Ski Ball (Space), Hammer & Bell Game (Pirate). LEGO needs to give the “girl market” another try. Belville isn’t interesting because the pieces are non-standard and have little replay value, and the figures weren’t minifig compatible. Paradisa was a very good attempt, but the theme was somewhat lacking. #1: Disney Princess is a no-brainer. LEGO already knows how to do licensing agreements. LEGO already works with Disney. Not having licensed the Disney Princess line is almost inexcusable. Where is Sleeping Beauty’s castle? Where is the Snow White and the Seven Dwarves playset? This needs to be approached as if it was an extension of the “Castle” line. Keep the minifig scale parts, keep the replayability and scale of the existing castle kits (PLEASE NO BELVILLE STYLE COMPONENTS). Disney Princess would *fly* off the shelves, and could probably spawn dozens of sets and add-ons. But is has to be done right. #1a: If LEGO can’t reach an agreement with Disney, then they could make their own princess branch of the Castle” line. A little tougher, but could still be a great success. Just take some of the concepts from the Belville fairy-tale line and convert it to minifigs and castle scale. My daughters would *love* a LEGO equivalent to the Duplo 4820 set. Where is it? #2: A non-licensed xtension to City with more things for girls. My girls would love some homemaker sets, stables with ponies, gardens with flowers, etc. But they don’t want Duplo and they don’t want Belville. Paradisa was honestly the best attempt yet. And there is one new piece that I am begging for. We need a female set of minifig legs (i.e. wearing a skirt or dress). The 65-degree slope might have cut it back in the 1980s, but it is very inadequate for play today. There are two main problems with it. First, the two studs clicking into a minifig torso just don’t give enough clutch. Every time you snap the figure down onto something and then try to pick her up, she just tends to come apart at the waist. We need a set of female legs that have the standard “extended” minifig leg studs. Second problem is that a 2×2 base means the female minifigs can’t fit in the same space as the male minifigs. You can’t put her into a horse for example. We need a set of legs that are clearly “girl” and wearing a skirt or dress. The legs could hinge together as a single unit to reduce complexity. When they are little, girls love LEGO as much as boys. But as they grow older it just seems like LEGO doesn’t want to give them a theme that works for girls. 1. DC Superheroes. With Batman, Green Lantern, Flash, Superman and other DC titles in the works for animation and movie treatment it is a no-brainer. The Batman line was short lived and is now highly sought after. 2. Techno-bots. Think Dinosaurs meets robots. Add in light and sound features and you have a fun and unlimited line. I nearly went mad reading all these to make sure my ideas hadn’t been said yet, so forgive me for skipping the last third of them. 1) a Robot Lab. When I was little, robots were pretty much all I built, and then I built a lab for them to live in. There were droids everywhere in all shapes and sizes, and even a way to eject the most special robot in an escape pod into the sea. Perhaps a theme with a good, if eccentric, robot scientist who is trying to help; who ends up making a lot of mess. 3) I love the Toy Story sets, but can we venture into the other areas of Pixar? I’d love to see UP, Wall-E and Monsters Inc. Wall-E’s truck! The Flying House! The Monsters Incorporated building, with reception, scare floor, locker room, and testing facility! As a side note, I like cats. Can we have cat moulds that are standing, walking, sitting or curled up? The ready-to-pounce pose is cute, but this cat biting and kicking my hand as I tickle her tummy is cuter. More dog variations, too, please. Smaller ones. Well, I have been thinking about it, and here are my suggestions. #1 Star Trek: When I look at the current and past LEGO Space stuff, it really seems that LEGO has missed the exploration aspect of space. Star Wars has barely had any Civilian models. Star Trek sets would be very popular in my opinion, not only among Trekkers, but other space builders as well, think of the flow of new alien figures, and other space parts. Examples of sets could be Shuttle craft, small sets with strange plants, rocks, an away team and an alien or two. Modular rooms of the Starship interiors. I believe the Original Series would be the best era to use, as it was more colorful and would blend with LEGO better. Megablock had the chance for Star Trek sets, they made a single model of the Enterprise-D, then didn’t continue with the license. #2 The Lord of the Rings/The hobbit: With the new Hobbit movie coming soon in 2012, the sets would be able to be released along with the movie. Maybe a first run of sets could come before it like LEGO did with Indiana Jones. 4-5 sets based on the Lord of the Rings, then when the movie comes out, sets based on the Hobbit. The Hobbit was intended as a Children’s book anyway. Ideas for the Hobbit sets could be “Bagend” (with Bilbo, and Gandalf, and a couple of the dwarves. ), “Captured by Trolls” a set with 3 trolls, Bilbo, and three or so dwarves. “Encounter with Gollum” a small set in the $10 range, including Bilbo, and a rock that Gollum is perched on, holding a 1×1 tile with the Ring printed on it. “Mirkwood” a set with three dwarves, Bilbo, four giant spiders, and an elf scout or two. I would list more but I don’t want to take up to much space on the page. #3 Modular Castle city: a castle theme in the style of the Cafe Corner. Sets could be a castle wall section, a gate house, a tower-corner piece for the walls, a keep, Village houses. Details of the sets could include soldiers, animals, wooden scafolding, and villagers. This is a pretty long topic, so I think I might be echoing some opinions. I’m sorry if I am. 1. 50s/60s Space Race: Lots to draw from here! Lots of different rockets, satellites, and spaceships that would make great kits! 3. A near future space theme. The vehicles could be based off of moonbase concept art. The sets could include rovers, habitats, and lunar lander style ships. Lego Halo Reach or some thing Halo related is all I want to see from Lego or just plain Military sets. Come on, everybody loves ApocaLEGO. LEGO already has guns, so that isn’t a problem. And LEGO already made a zombie too. Just say that the zombie plague is a nasty flu transmitted by touch that turns your skin green/grey, and gives you a craving for bricks. They’d just eat away at all the buildings, kids would want to stop zombies from destroying their LEGO creations, and survivors could have dart-guns that contain antidote. That way, there’s not any real violence, while adult and teen builders can have the minifigs and pieces. I think a Lego Twilight theme is a great idea for attracting more female consumers! The Edward minifig could have glow-in-the-dark-mixed-with-sparkly-bits skin, and the Bella minifig could have a dual-sided face that changes between a disinterested sneer and an imploringly beseeching gaze. To save on printing costs, Lego could even use the same design for both sides! Set ideas include “La Push Cliff Diving,” “Vampire Baseball,” “Vampire Cesarean.” I am especially proud of my idea for a set called “Werewolf Sleepover,” based off the pivotal scene in Eclipse. With the millions of Twilight aficionados out there who will pay money just to have their picture taken with an Edward impersonator at Bella’s arbitrarily designated home in Forks, a Twilight theme is a surefire cash cow! #1. “The Rock and Roll Hall of Fame.” Minifigs and minifig accessories inspired by rock and roll icons and iconic music gear. Sets might include tour vans, concert stages, recording studios, set pieces from famous music videos. #2. College football. Minifigs for each team (or at least the good ones)…revisit the design challenge of making soccer and basketball playable in the Lego universe. #3. A Star Trek-esque space theme….Drop space police vs. aliens/blacktron….Get away from the Star Wars approach to science fiction. Give us parts that inspire new characters and narratives that begin with the peacefull exploration of uncharted space and distant planets. 2. Lego Houses! Each set consists of a mini figure and their small stylized home. A Magician’s home would be black and white, and sort of strange. A clowns home would be colorful and fun. 1. Retro Future – ’30s and ’40s pulp sci-fi. 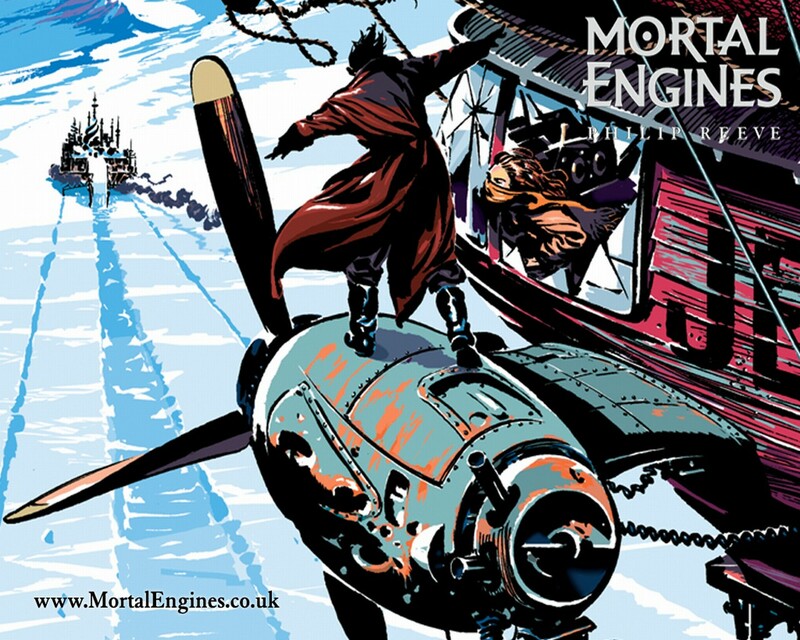 Robots, autogyros, flying wings, ray guns, weird tanks, rockets, mad science! 2. Blacktron III – ‘Nuff said. 3. Star Trek – Ditto. Exo Botanists. Futuristic theme of explorers on a jungle planet with over-size plants. (think giant mushroom groves, etc.) Could be giant carnivorous plants, sentient plants, prehistoric-like animals, hovercrafts, balloons or bush-wacking ATV’s. Explorers vs. Exploiters, environmental twist. TINTIN TINTIN TINTIN! (this may already be in the works – all hail Spielberg)! 1. Mall theme: Different kinds of shops and stores, maybe they can link together. Add your own zombies for zombie-mall play. 2. Colonial era: “Pirates” era, but “City” type sets. Although LEGO tends to avoid modern war themes, some military vehicles might make for good UCS sets. I would prefer to avoid licensed properties, partly because they make sets expensive, partly because they discourage free-play. Army men world war theme. Mercenary theme of world mabey a future world war 3 or nucular wars. Make a series just like Volkwagen Beetle limited edition kit but with more variety of the car. We need more car modeling kit with LEGO. LEGO made my 10-year-old self’s dream come true (20 years later) with Star Wars LEGO. This would make my 39-year-old self’s dream come true! I like to see my other non-LEGO interests become LEGO sets, and many already have, like F1 Ferraris and mecha/robots (Exo-Force), so let’s have more of those, too. I havent read this who thread, but assume that any theme I would like to see has alreeady been suggested. Whatever theme they try out, I’d like to see them launch it with the hope of keeping it around for more than just one or two years, providing it sells well. Any theme that runs out of steam or “interesting things to add” after one year probably wasn’t a good idea to begin with. It wouldn’t hurt for LEGO to give us a list of between 5 and 12 possible theme ideas and let us vote. Everyone has an idea for a theme, it’s a discussion that merit repeating every now and then, but I think it would be more manageble if there we could choose from some predetermined options. Just thought of something a little original – not a new standard playtheme per se, but how about a Crossbows and Catapults type game? A great way to expand on say the Castle theme with something new, and could be a great army builder packs as well. And LEGO is really into games these days. After seeing Littlhaulics room design I think the female afols and daughters all over the world would love to display their own Modular “Dolls House” , each set around 50 to 80 dollars depending on where you’re from and representing a room theme eg. bathroom, bedroom. Interchangeable layouts and strong design/ building concepts along with the ability to add as many or few rooms as builders wish. #1: UCS Homeworld Lego. That is all. #2: Micro (or Midi) scale space line, sets would consist of one-two ships, and a minifig (or minifigs) of the captain of that ship (or ships). Largest sets would also have the bridge crew. overarching theme would be exploration/discovering alien species. No gimmicks. #3: Minifig scale mecha, westen style, ala’ Mechwarrior. No gimmicks, just solid, well built sets with a great minifigure. Oh, and when I say gimmicks, I mean flickfires, firing missiles, light bricks, sound bricks, air pumps tubes, game rules, “Really floats!! !”, and the like. I think the play value of the basic Town theme for kids is underestimated. My first suggestion would be a different approach to a Town theme: produce modular buildings (shops, houses etc) that fit either one or two per side of a straight road 32×32 baseplate providing an affordable way for children to build up a town of their own. With the buildings having one or two floors that would allow for four sizes of building and therefore four price points, with a one floor, quarter plate building being priced at the level of a bit of saved up pocket money. In addition there could be plenty of simple low price vehicles with a minifigure – perhaps inspired by the original Town theme vehicles. Suggestion number two would be a Formula One (and/or any other racing circuit) theme with Scalextric style tracks, pit lane buildings and grandstands. The cars would have play value in their own right but would be taken to a new level with a powered track. I am not however proposing that this be a licenced theme, just generic racing cars; I think Lego should use licensed properties sparingly. The Retro Furture City- LOVE! Steampunk would great but may be too AFOL directed. 1. Eco-Rangers: thinking into the not too distant future, a semi-futuristic team policing ecological damage & protecting endangered species. Sets could include missions to rainforest. Imagine tropical fauna, but also kind-of apocalyptic scenery, futuristic logging machinery etc. A set featuring futuristic oil-spill cleanup machinery and protective outfits. I don’t think I’ve seen any toy line as of yet taking this issue seriously. 2. Something involving ghosts haunting different kind of houses and situations. Secret walls and attics, graveyards. But lots of variations on types of ghosts, lots of transparent elements and mechanisms. Ghosts and monsters as a fun and mischevious force rather than evil beings that need to be defeated by ‘Heroes’. 3. Storylines that veer away from Heroes vs Villains; remember the imaginitive potential of children. Lego has always been an incredible facilitator for creative thought and is far more capable of ideas beyond licensed products… AFOLs and kids will find ways to make their own versions of those characters they love anyway. A return to a more generic yellow lego head. The whole success of those little heads is that they are blank symbols; you project your character onto those yourself regardless of what is printed there. As a white person I’ve always had no difficulty in seeing legomen as race-less figures, but I’d like to know how other races perceive legomen. is there much discussion of this online? 1. Monsters – This could include classic movie and literary monsters. We had a couple with the Studios theme, but there could be so many more like creature from the black lagoon, phantom of the opera, invisible man, medusa, etc. 2. Japanese/Anime – Could be licensed properties like Totoro and Domo, places around Japan like Shibuya station, or more generic like a Japanese garden. 3. Fairytale – Yes, I know Belville had a few Fairy-Tale sets, but let’s be serious. Little Red Riding Hood, Humpty Dumpty, Hansel and Gretel, The Three Little Pigs, etc. would be great sets that would make great companions to the Kingdoms line.